Seven of the top 10 most polluted cities in the world are in India, according to a new study showing South Asia’s battle with deteriorating air quality and the economic toll it’s expected to take worldwide. 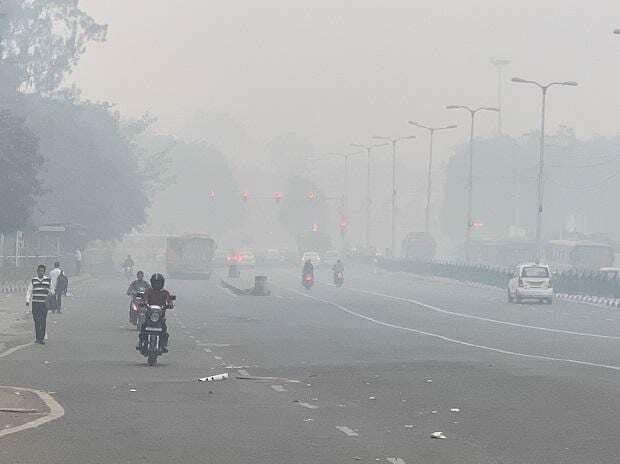 Gurugram, located southwest of India’s capital New Delhi, led all cities in pollution levels in 2018, even as its score improved from the previous year, according to data released by IQAir AirVisual and Greenpeace. Three other Indian cities joined Faisalabad, Pakistan, in the top five. India, the world’s fastest-growing major economy, makes up 22 of the top 30 most polluted cities, with five in China, two in Pakistan and one in Bangladesh. India racks up health-care costs and productivity losses from pollution of as much as 8.5 percent of gross domestic product, according to the World Bank. China made marked progress in its usually dismal pollution levels, with average concentrations falling by 12 percent in 2018 from the previous year, according to the data. That should help the message President Xi Jinping will share with political party leaders on progress across three so-called “critical battles” during the National People’s Congress meetings that start this week. Sano traced much of the problematic readings back to climate change. He noted that burning fossil fuels is both the key driver of climate change and of air pollution worldwide, and that shifting atmospheric conditions have worsened air quality and amplified forest fires.